George is having a sale today! I'm not featuring him for that reason - but I just noticed it in his shop information. If you like graphic arts then be sure to check out George's Etsy store. I happen to really like abstract drawings and George has been making abstracts for about 2 years now. 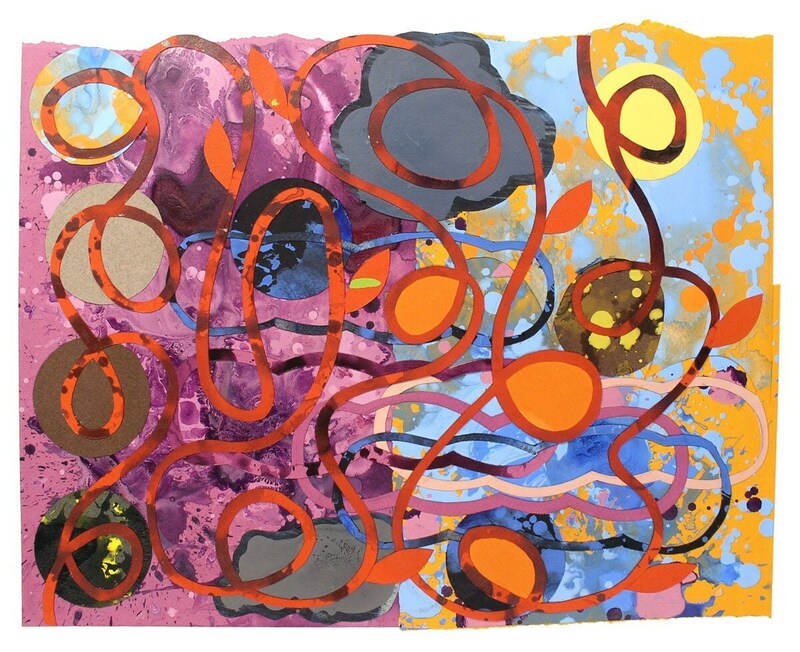 Here's my favorite abstract that is currently in his store - titled "Vacation". The fact that it has some purple in it had no bearing on whether I like it or not - you do believe me? Don't you? LOL! 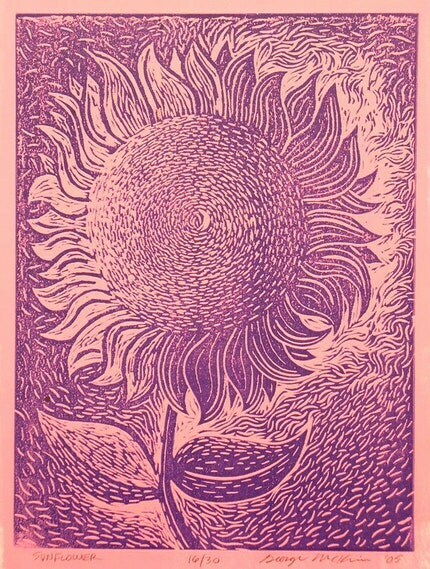 Hmmm - and there just happens to be a purple sunflower linoleum print available in his shop. You can also get this sunflower created for you in your favorite color - but for now you'll have to enjoy it in my favorite color! If you can't afford an original right now he also sells note cards with prints of his originals. You can even get notecards made with any picture from his website - http://www.george-mckim.com. So check out his Etsy store and website for items he has for sale. If you want to know more about what he's up to and what's the latest and greatest art plan that he has then be sure to check out his blog. I first purchased beads from Judy of Cat's Paw Artifacts aka catldy99 several years ago on Ebay and I'm glad to see that she is selling on Etsy as well. Judy makes quite a few gorgeous flower oriented beads which is how I first found her. I was searching for an iris bead and she had one for auction so I bought it! 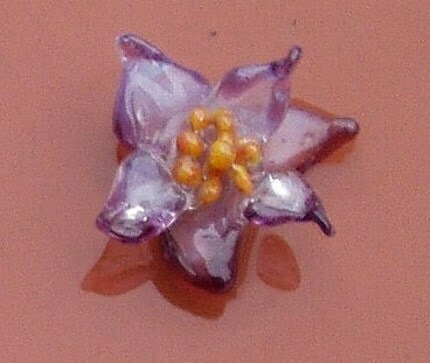 Here is one of her lovely lampwork flower beads available in her Etsy store. She also makes wonderful round and lentil lampwork beads if flower shapes aren't your thing. 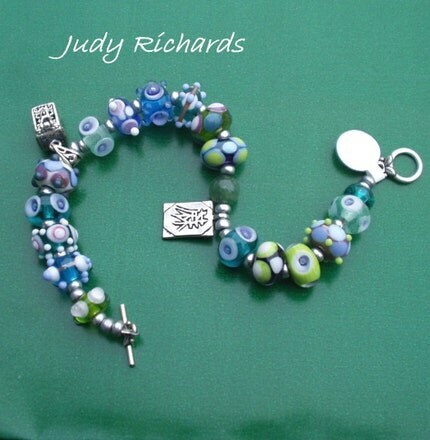 Judy designs jewelry (often using her own lampwork beads) and precious metal clay beads. 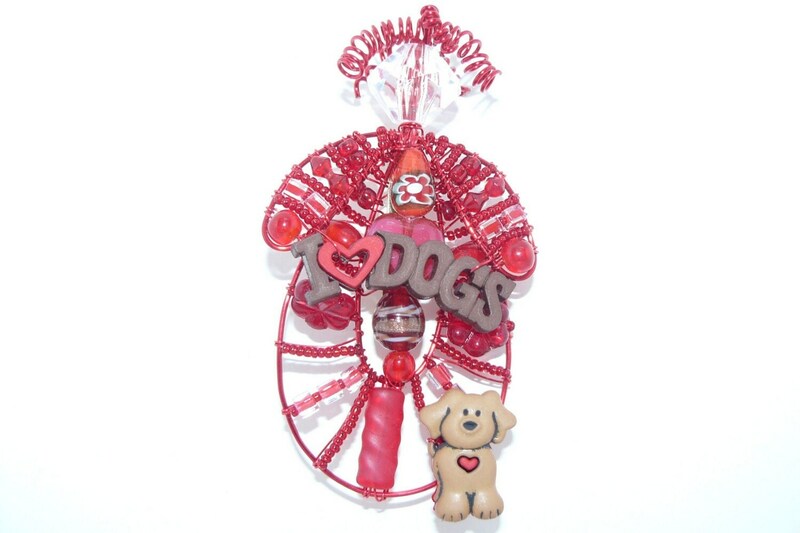 Check out this fun bracelet! The lampwork beads are just gorgeous and the detail in them is wonderful! She has many more fun designs in her Etsy store so check it out ASAP! Want to see more of her work? The check out her Etsy store. Want to know more about the happenings in her life? Then be sure to check out her blog. Pasadena Bead and Design Show! 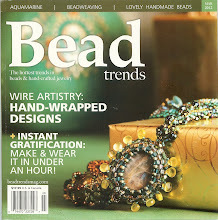 I got invited to sell at the Pasadena Bead and Design show but don't yet have the resources to do that kind of a show. I did make it a point to go to the show though - I had to see what it is all about! If you like handmade clothes, scarves, hats, shoes, jewelry, fibers, art, ... then make sure you attend this show in August. I thoroughly enjoyed myself and absolutely loved looking at all the beautiful, wearable art for sale. My mom went with me and we both had a blast. I bought some wonderful handcrafted sterling and vermeil findings. 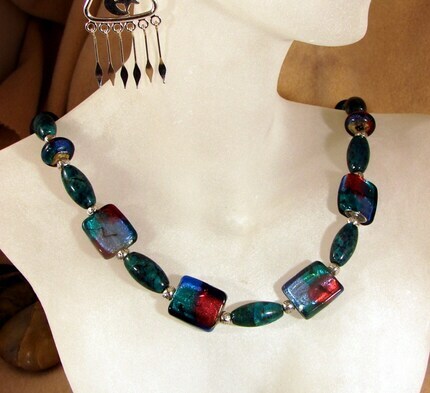 You'll be seeing those in my designs after I buy some equally gorgeous gemstones at the Tucson show in February. I dropped off some more of my designs at Gili Anna in La Jolla. During the holidays I don't have too many items for sale on consignment since I need to have items available for all my local and online customers so it was time to restock my designs at Gili's shop. 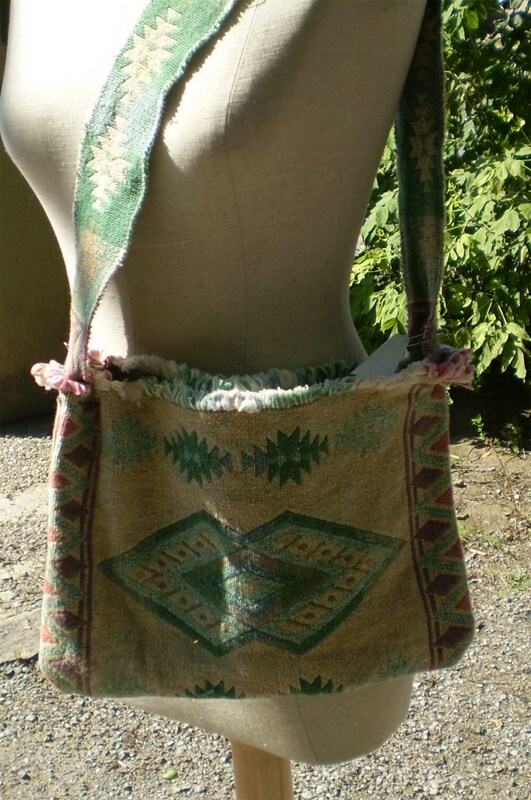 You can see some of the items for sale at Gili's on my web page (click on the Gili Anna link on the left of my website. I don't take pictures of everything I sell at her store so what you see on my web page is just a taste of what you can see in her store. I'll be adding another shop on the east coast to my consignment list so stay tuned for more information! Mary lives in Florida and I live in San Diego and bouganvillea flourishes in both locations. Here is a beautiful painting titled "Bouganvilla On A Rampage". Have you ever grown a bouganvillea? If so then you know how easy it is for it to grow rampantly. All you have to do is trim it and I swear it grows twice as fast! I'm continually whacking mine back to keep them out of the neighbor's yard, out of my trees and under some sort of control. They flower beautifully - but must be kept under tight control if you don't want them to take over your flower bed! 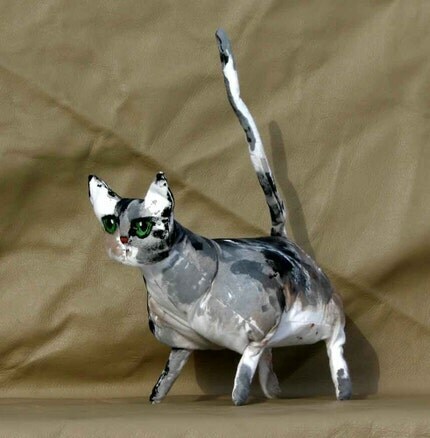 Mary has many more gorgeous paintings available in her Etsy store (including cats ... and, (thanks for letting me know Mary!) one print with a dog ) so make sure you check it out. 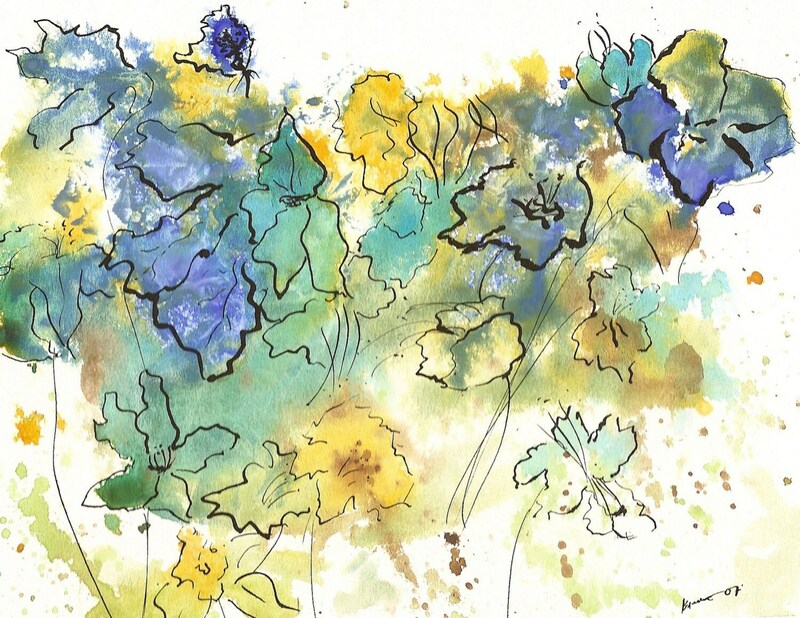 Want to hear more about the happenings in her life and new art that she has in store for you? Then be sure to read her blog. What a coincidence that I was just playing around with a late night idea I had which involved crocheting (and I think the idea is a bust - but that's another story) and I check out LazyCat's Etsy store only to find out that all the designers for LazyCat can REALLY crochet! LazyCat is the online store for 3 designers - Kelly, Allison and Stasia - who need to keep their cats well supplied with kibble and catnip. 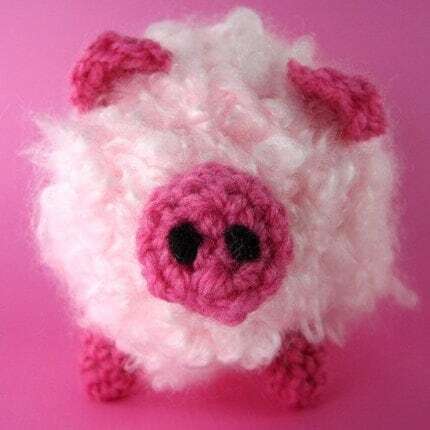 Now I'm not a cat fan but I do love a cute pig and here's a crocheted one in the LazyCat store. Like scarfs? Here's a cool one! Good for a cool day! 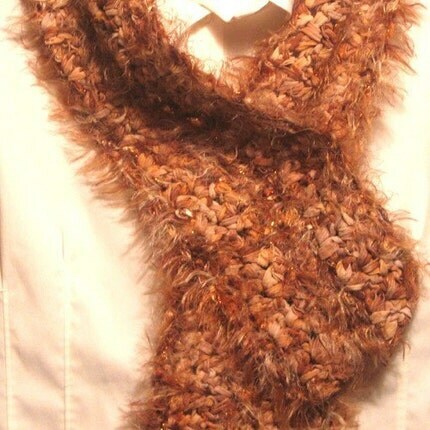 I love the earthy browns and wonderful textures. They have some very cool crocheted jewelry as well so have some fun and check out their store LazyCat and keep their cats well kibbled - LOL! And, if you want to know more about what those cats are up to, in between naps, check out their blog. Today I'm featuring artist CraftyMoose (aka Debbie) and I ADORE the first thing I found in her shop - a DOG!!!! pin!!!! Isn't it just the cutest Valentine pin you've ever seen??? There are just WAY too many cat things out there and I get sooo excited when I see dog things. Can you tell? Debbie's art covers a broad range - from dolls to ACEOs to beaded flowers. 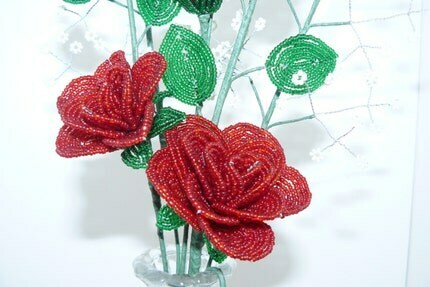 Now I also happen to love gardens and flowers and really admire those who do beadweaving so I'm really impressed by Debbie's beaded roses. Aren't they just TDF?!! And at $25 they are a steal!! Want to see more of Debbie's beauties? Check out her Etsy shop. Want to know more about her daily happenings? Then be sure to check out her blog. If you're ready for Valentine's Day then check out signatureSterling's Etsy shop because she has already ramped up her inventory in preparation for Valentine's Day! 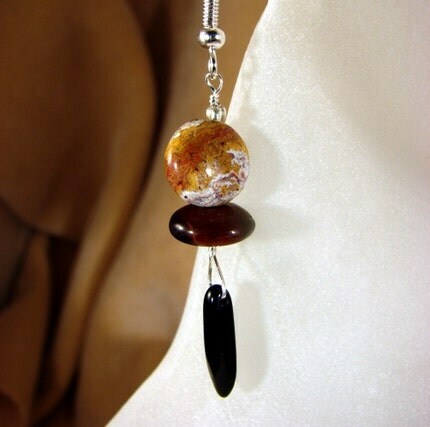 Here is a beautiful necklace in wonderful earthy colors - not traditional for Valentine's Day, but gorgeous, and she did add some of the traditional romance with a heart focal in brecciated jasper. Want an entire set? Then check out the matching earrings and a bracelet. Hearts are starting to show in my shop! 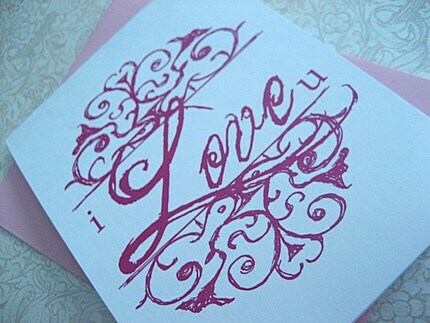 OK - I finished up my first design that has a Valentine's day feel to it - it has 2 hearts and pink at least. It's actually the first of my "modern art" series - though the design didn't turn out too modern looking - but when the beads decide how they want to go together I have to listen to them. Anyway - check out all the pictures and let me know what you think! Button, button, who's got the button? Well Ulixis (aka Amanda) must have lots of buttons considering all the fun jewelry she makes with them. Now you all know I love purple (if you don't you haven't been reading my blog!) and I'm a lizard at heart - I like to sit on a hot rock in the sun and stay warm!! so I just have to show Amanda's "Heather - A Ray of Sunshine on a Winter Day BUTTON BRACELET" since it combines my favorite color with a ray of sunshine! Now she also creates designs that don't include buttons so don't stop reading just because you're not a button lover! Amanda also makes notebooks. Now the engineer in my finds her notebooks more interesting than most since she include pages of GRAPH PAPER! What can I say - once an engineer who writes in engineering notebooks (all graph paper) always an engineer! If you want to see more then visit Amanda's Etsy shop. 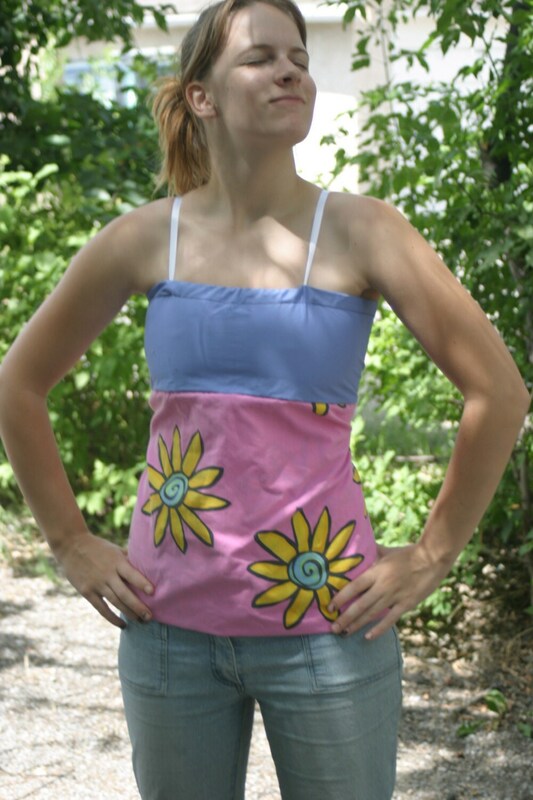 If you want to hear more about her designs and day-to-day life then read her blog She has some great links to help out kids and shares her PIF experience. See a design in progress! Want to see a design in progress? Well here it is! It will show up in my Etsy shop in the next day or so. They're mostly snoozers when I'm working on jewelry, but they do wake up on occasion to bug me for belly rubs or chew toys or maybe dinner! Are you ready for Valentine's day? I'm sure not - haven't made a single new Valentine item for my shop. Vanessa Kimball already got a jump on things with this beautiful Valentine's card. As you can see Vanessa makes wonderful cards, as well as calendars and whatever else she can apply her graphic art talents to. 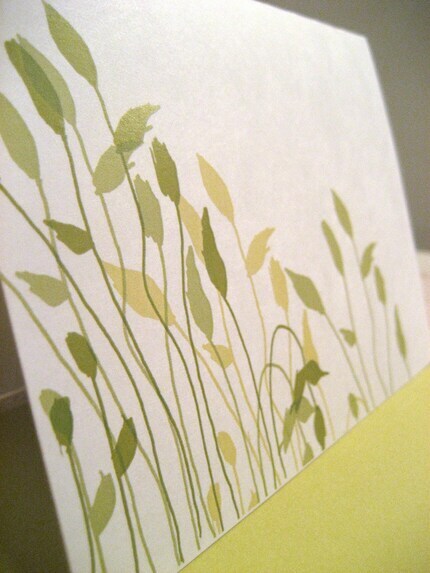 My favorite card in her shop is "Green Grass" ... Want to see more? Then check out her Etsy shop. You can also learn more about her at her blog. Do you like handmade books or cards? Is so don't miss Michael Gresh's Etsy store, Darjeeling Paper, Ltd. He has some wonderful journals for those of you who take notes or just write down your daily musings. 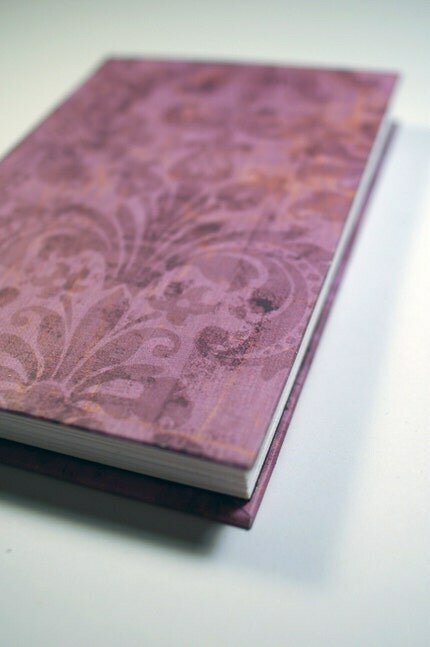 Here's a wonderful journal in my favorite color. I don't write in a journal, but I do make handmade cards so I had to check out the cards that Michael makes. He's got some wild ones! 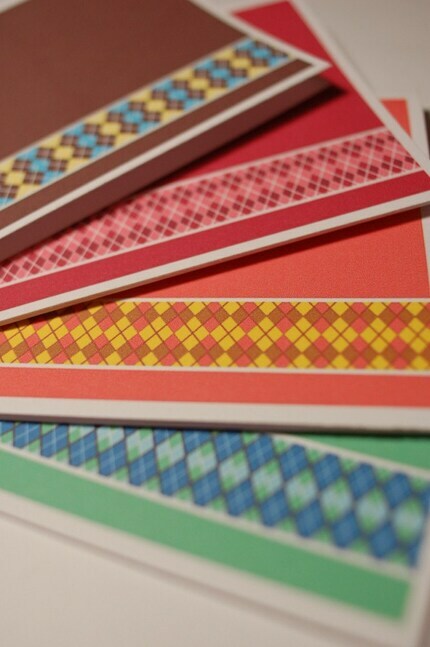 If you like argyle socks he's got some note cards just for you! See more at his Etsy store. Want to know more about Michael? Then be sure to check out his blog. I'm feeling blue - LOL! I must be in a blue mood. 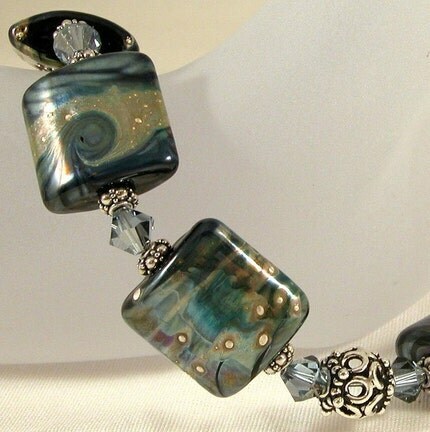 Yesterday I listed a gorgeous blue bracelet made with stunning lampwork beads. 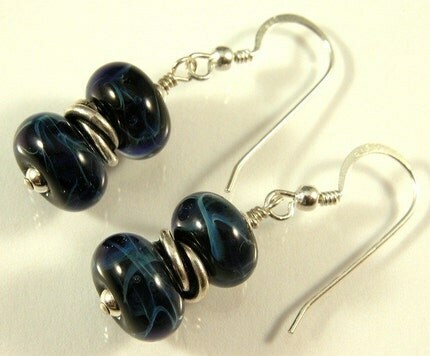 Today I listed some earrings with more gorgeous lampwork beads with wonderful swirl patterns running through them. Check them both out in my Etsy store. Want to see more? Check out Silver Shadow Designs and if you want to learn more about the designer check out her blog. Enjoy! I'm trying to do some catchup with my featured artist blogging. I'm running WAY behind schedule so I'll try to post 2 per day for a while. This evening (well actually it's already morning - but who's keeping track?) I'm featuring Etsy seller knuckletoes. When I peruse through each artist's store I either get drawn to the unusual or to something fun. And what drew my eye in knuckletoes shop? 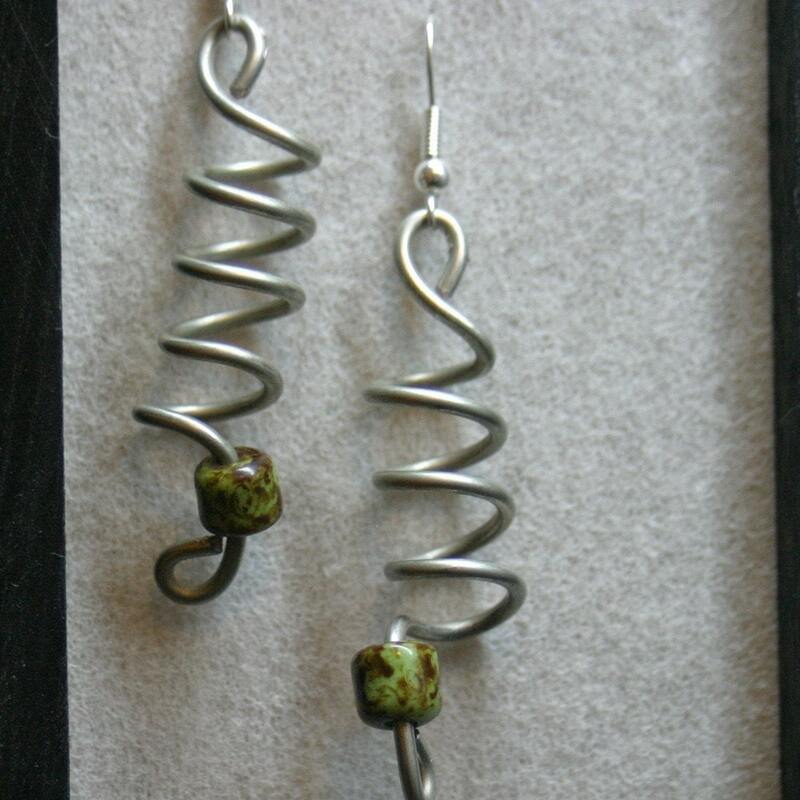 These spiral earrings pulled me right in: . 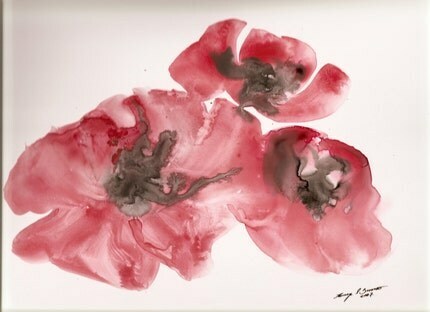 and another favorite of mine - red poppies!